FRESNO – On Tuesday, the Fresno County board of supervisors will vote on the appointment of a county counsel to replace outgoing Counsel, Kevin Briggs, whose last day with the County of Fresno was Friday. Daniel Cederborg has been selected as the most qualified candidate through an open recruitment and interview process. 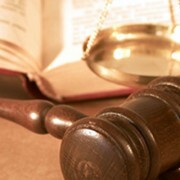 Cederborg has many years of legal experience at the management level in both the public and private sectors. He was admitted to the California State Bar in 1986, following graduation from the University of the Pacific, McGeorge School of Law. He started his legal career with Pillsbury Madison & Sutro in San Francisco, and worked for various litigation firms in the Bay Area and in Stockton, Calif. He began work in the public sector in 2003, serving as the deputy county counsel for the County of San Joaquin. In 2006, he became assistant county counsel for the County of Yolo, where he currently serves. Cederborg has been married to his wife Amy for 24 years. The couple has three children: a son in the Navy, a daughter currently attending North Park University in Chicago, and their youngest son in high school.